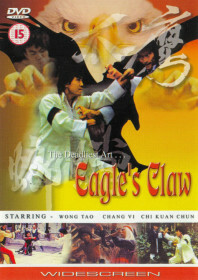 The long white hair and pointed boots of surreal super-villain Chang Yi are kicking up a storm at the eagle claw school. Thirsty for revenge, he vows to wipe out all of the style’s practitioners, and almost succeeds in killing off their most beloved sifu. Before his dying day, the sifu proclaims that the young Don Wong will inherit the school, much to the dismay of long-time servant Chi Kuan-chung. Bitter and twisted at this rejection, Chi storms off, kills his master, and switches sides to join Chang Yi’s rival mantis school. There are plot twists and fisticuffs aplenty in this satisfying chopsocky flick.